(BNW Required) Adds the Ghaznavids, led by Mahmud ibn Sabuktigin, to the game. 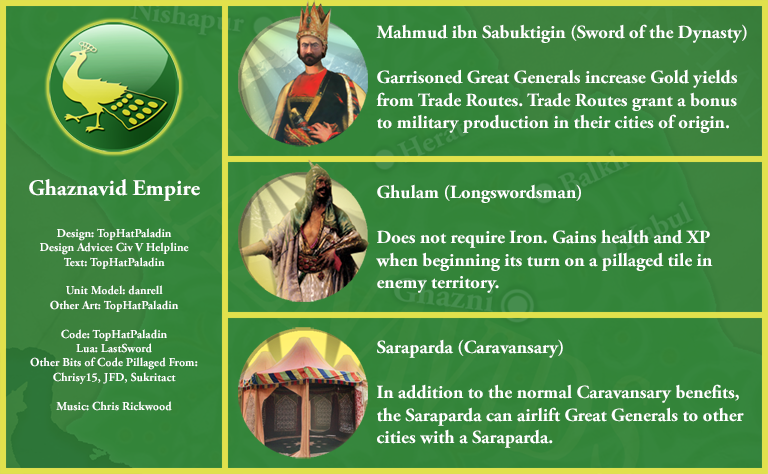 Adds the Ghaznavid Empire, led by Mahmud ibn Sabuktigin (Mahmud of Ghazni), to Civilization V as a custom civilization. Requires Brave New World. SeroSedSerio and Chrisy15 like this.